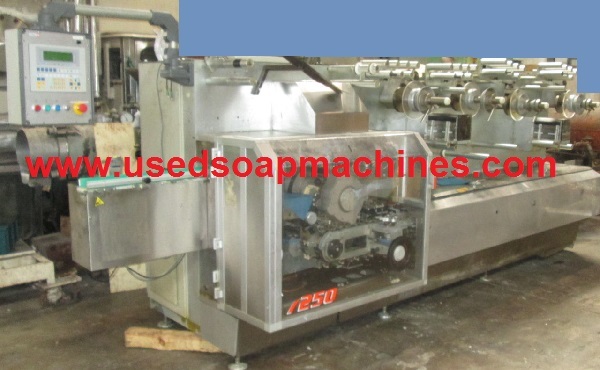 TOILET SOAP WRAPPER "ACMA 7250"
ACMA 7250 soap wrapper is studied to wrap oval and rectangular soap bars with and without side band at a maximum speed up to 250 soaps per minute. The paper feeding is from heat sealing reel. The soap wrapping style is double-point end fold.